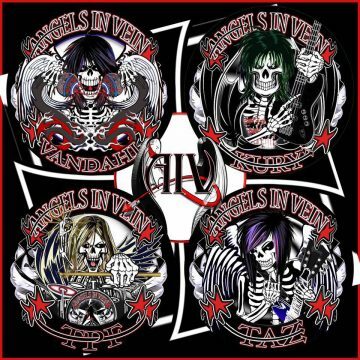 It’s been almost two and a half years since Angels In Vein first announced themselves publicly with their line-up consisting of lead vocalist Chris Van Dahl, guitarists Todd (Taz) Anthony and Stacey Blades, bassist Eric Stacy and drummer Troy Patrick Farrell. Since then, a number of singles were released, Stacy and then Blades left the band, and the debut album got delayed before the group led by Van Dahl went on hiatus. “People are constantly asking me about Angels In Vein. I’m happy to say that after a long hiatus, Taz and I are returning to the studio next month to start work on finally getting this album finished!